Rahul was surprised, but unable to resist the temptation of the heavenly gift, agreed. So Rahul became a monk. Buddha showed him the way to enter into the world of nymphs every night. Rahul was delighted but only for a few days. For the life of Buddhist monk was not easy. He has to follow a strict and severe discipline of work and meditation. Rahul was not able to follow the discipline because he was constantly disturbed by the captivating images of the Apsaras he was seeing every night. Rahul told Buddha of his difficulties. Buddha listened patiently to Rahul’s problems and after a few minutes of silence said, “You are a sculptor, aren’t you? From today you need not follow the discipline of the Monastery. Spend all your time in sculpting the most beautiful Apsara you have seen in your nightly sojourns in those worlds.” Rahul was again surprised at the Master’s suggestions but very happy because he got a work he loved so much. So Rahul started working on his sculpture of the Apsara. Days passed and Rahul was increasingly absorbed in his work. He forgot about his food and sleep and forgot himself in his work. All his passion for woman was transformed into an intense, one-pointed, aesthetic absorption in his work of art. But the fellow monks of the monastery were annoyed. They saw this young, newly joined monk shaping in stone a voluptuous figure of a women. They murmured, “What is this fellow doing? This is a monastery and he is doing such a sensuous sculpture. How did our Master allow this?” But they knew that Rahul would not be doing this work without Buddha’s sanction. So they kept quiet. One day Buddha came to see Rahul. Rahul was oblivious of his Master’s presence. 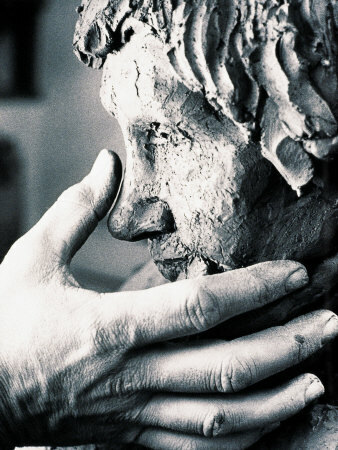 He was totally and utterly concentrated in his work, giving final touches to the statue of the Nymph. Buddha walked silently towards Rahul and without disturbing, touched him. Under the Master’s touch, Rahul, with all the concentrated force of his being, plunged into deep trance. When he came out of the trance, he was a free man, delivered from all sorrow, craving and ignorance. Rahul stood with tears of gratitude before his Master. And Buddha, pointing towards the statue of the Nymph carved by Rahul, asked, “Rahul do you still want this women?” Rahul fell down at his Master’s feet. This story shows vividly the ways of ancient Indian masters in guiding their disciple. The approach of Indian masters to spiritual growth is not ethical or religious but predominantly psychological. The guidance and instruction is based on a deep, understanding of the unique nature, temperament, capacity and needs of the disciple. This is a kind story that teach us how to be a real human. Well written! This entry was posted on November 3, 2011 by integralmusings in Tales of Light.